Our finished garden path that leads from the back door to the patio! Last week I posted a pic of it still in progress. It’s done! 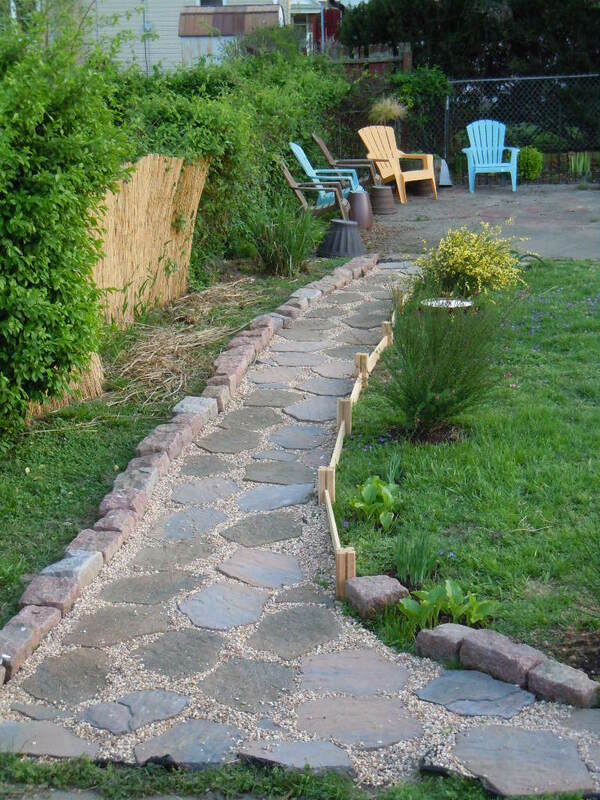 We reused old stones from a flowerbed wall for the barrier down the left and finished the whole path off with pea gravel. It only took 5 years but it finally looks the way we have always wanted! Hi, your path looks great, I need some inspiration to start ours. Only 5 years you say….? !